I wasn’t aware of this movie despite the fact that Peter Weir is one of my favourite film directors. I’m glad that The War Movie Buff told me about it. Even though I like some of Weir’s older movies and also Master & Commander a lot, I didn’t expect anything before watching The Way Back. I’m glad I didn’t, I think I would have been very disappointed if I had. I’m afraid it is Peter Weir’s weakest film ever. The story, based on true events, had a lot of potential, the actors were mostly well-chosen, the cinematography is stunning, the score is convincing and still…. There is something missing. 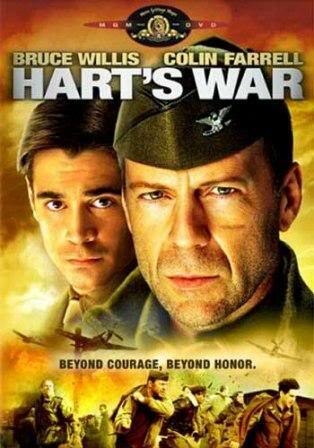 I couldn’t help comparing it to another POW movie, also starring Colin Farrell, namely Hart’s War. While Hart’s War focuses on how the prisoners escape from the camp, The Way Back shows their long journey from the Siberian gulag to India. The movie starts in Poland in 1941. Janusz has been captured. His wife denounced him under torture. He is a spy and sentenced to spend the next 20 years in a Siberian gulag. He’s a strong young man, optimistic, kind and resourceful. He makes friends in the camp, some tell him that it is possible to escape. He chooses a few who will follow him, they prepare their escape and one night they do it. It’s a small group of seven people, headed by the spirited Janusz (Jim Sturgess). An American (Ed Harris), a Russian criminal (Colin Farrell), a Polish priest and others. One dies in the early days. The hardships of their journey are unimaginable. First they walk for weeks from the camp to Lake Baikal, then to Mongolia, the Chinese wall, across Tibet and into India. They cross the mountains and deserts, almost die from cold, hunger and thirst. After a few weeks, they are followed by a young girl who finally joins them. Some make it, some don’t. On their way, each time they cross the border of a country, they see how far Communism has advanced. Since they escaped a gulag, they have to get to a country that is free of communism. The moment they enter Mongolia and then China, they know, they have to make it to India. I’ve seen my share of POW movies. The Way Back is one of the weakest, it’s more a survival story that is told in a boring way. The fact that Colin Farrell was in Hart’s War (which I think was a bad movie here is my review) and in this one, made matters worse. One cannot help comparing those two movies and also see parallels between the choice of Ed Harris in this one and Bruce Willis in the other. I guess you gathered that this movie left me pretty unfazed. It’s not bad it’s just lacking something. If you want to watch a truly good newer POW movie watch Werner Herzog’s Rescue Dawn (here is my review). Of the older ones I like The Colditz Story best. 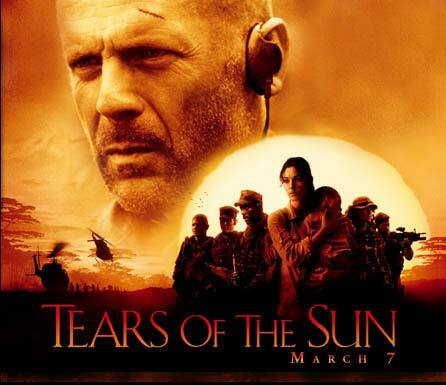 Tears of the Sun shows a Navy Seal Commander Lieutenant Waters (Bruce Willis) struggle with his conscience. During the outbreak of a war in Nigeria he is sent to rescue an American doctor (Monica Belucci). However the doctor refuses to leave without the villagers who are surely killed if no one cares to bring them to a refugee camp. The question is now, will the callous, hardened Lt help those civilians or will he merely follow orders? His conversion towards an emphatic being is not completely convincing but that is not the main problem. The action, fighting, emotions are very intense and in so far it is good entertainment for action buffs. My problem starts when this is called a war movie. We should only call a movie a war movie when the action is based on a known conflict. The war that we are shown in Tears of the Sun did not take place, it is purely fictitious. Furthermore why invent a war? I think this is highly questionable. And why invent a Nigerian war? One film critic, A.O. Scott, even stated that Nigeria was a bad choice since it had been spared such a civil war unlike other surrounding countries. 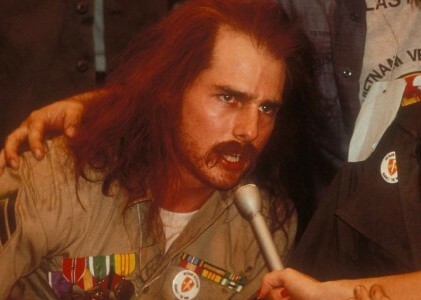 Don´t get me wrong, Scott does not defend this movie, but he only criticised the choice of inventing a war while his misconception of the existence of a Nigerian Civil War shows the core problem. The whole story reveals how very problematic it is to invent wars when even people as well-informed as A.O Scott haven totally forgotten that Nigeria was once the place of one of the most cruel and horrible civil wars, namely the Nigerian-Biafran War. To me it seems as if in inventing such a war we erase the memory of the actual war. 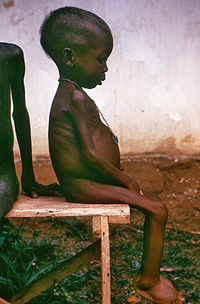 But even if we have forgotten this war, we have not forgotten the pictures of the starving Biafran children. I just would like to take the opportunity to show some respect for the people who suffered in those wars we may have forgotten. Should you be interested in reading a novel about the war in Biafra I would recommend Chimamanda Ngozi Adichie´s novel Half of a Yellow Sun or her shorty story with the same name that you can read here Half of a Yellow Sun Short Story. What are your thoughts? Do you think it is not problematic to invent a war?